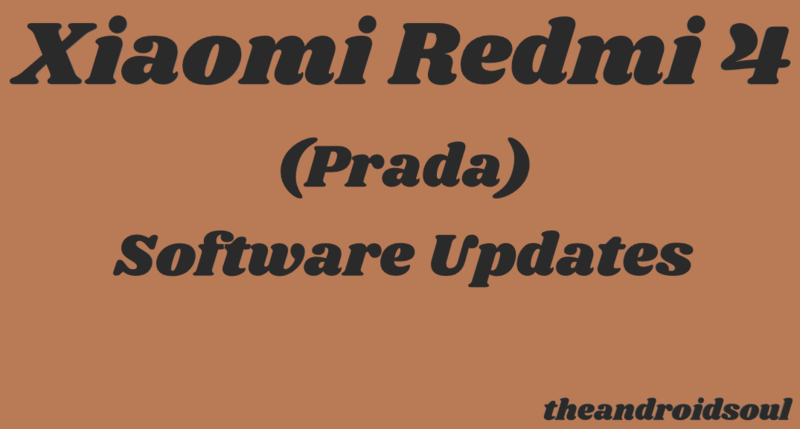 January 31, 2019: If you own a variant of the Redmi 4 codenamed prada, there is a new software update for you. The update is arriving as version MIUI 10.2.1.0.MCEMIXM, tagging along a new Android security patch as well as a flurry of bug fixes and optimizations. Being an OTA update, it will take some time before all Redmi 4 units get the download notification. But why wait when the download file is ready for you in the table below? If it’s about how to install the update after downloading the file, we have a handy guide at the bottom of the post. For the latest software update news and download files related to Xiaomi Redmi 4 (prada), you have come to the right page. Besides the usual MIUI updates, we will also take some time to shed light on the status of Android OS updates. The Redmi 4 was launched in 2016 and like others released by Xiaomi in the same period, an update to MIUI 10 was made available to the handset in late 2018. As expected, the MIUI update is still based on the launch OS – Android 6.0 Marshmallow. Custom ROMs are your only option to get Nougat, Oreo, etc. The Redmi 4 runs Android Marshmallow out of the box and while some variants of the device made the switch to Nougat at some point, the prada model is still stuck on Marshmallow. The worst part is that it won’t go past the current OS, meaning the best you can do to get Nougat or maybe Oreo is via custom ROMs. As for Pie, it won’t be easy bumping into custom ROMs targeting this device, but if we do, we will update this post with the info.